NEW YORK (CNN) -- A pedestrian was struck twice by vehicles in Queens and dragged for 17 miles by the second vehicle before police found him dead in Brooklyn, New York City Police Commissioner Ray Kelly told reporters Wednesday. 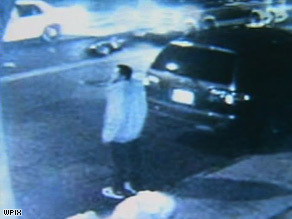 Surveillance video shows a body in the middle of the street. The badly mangled body was discovered under a van after several passing motorists motioned the driver to pull over, Kelly said. Police had not identified the victim Wednesday evening, he said. The first driver called 911 to report he thought he had struck a pedestrian but did not see anyone. It turned out the second driver, in a van, had driven over the man, whose body became lodged under its chassis, according to police. Kelly said the van driver stopped at one point during the drive on New York City's highways and roads because he noticed the vehicle was not driving properly. But he failed to find anything unusual, Kelly said. Police are retracing the route the van drove in an attempt to find body parts, he said. No charges have been filed, Kelly told reporters Wednesday afternoon.